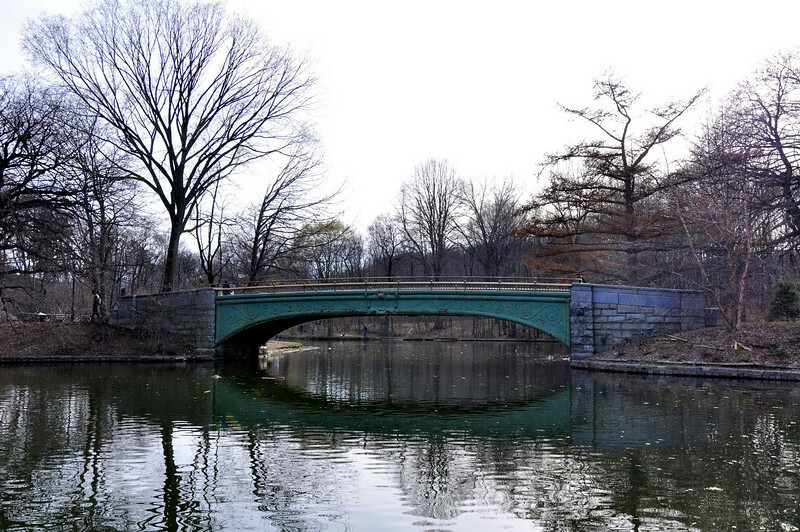 Bridge in Prospect Park, Brooklyn. It was in the 50's today, so I rode my bike to Prospect Park and rode around a loop in the park a couple of times and then rode around the neighborhood a bit. The park is about 2 miles from my condo. It's a nice park, but Central Park it's not. I was pulled over by the cops for briefly riding on the sidewalk near the park on my way home and almost got a ticket. I was lucky I didn't as there is a "crackdown" on bicycle riders taking place. I only rode on the sidewalk for one block there because the streets around the entrance to the park are very heavily congested with cars and it's a big traffic circle that is a tad confusing. super capture and reflection! glad you didn't get a ticket! Wonderful comp -- love that reflection! Glad you avoided getting a ticket! Well composed and well seen...........love reflection shots!!! !